This entry was posted in Blog, Laughter Insight Newsletter, Laughter News, Merv's Blog, Sebastien Gendry's Laughter Yoga Blog on May 30, 2013 by Sebastien Gendry. The regular practice of any of the following simple exercises will help you create a sense of greater happiness in your life. Just as the orange provides the juice, laughter provides the happiness. Write down three positive occurrences that happened during the day, every night for one week – then for each occurrence write down an answer to the question of why the good thing happened. Pro-actively email or call someone (anybody you want) to share good news only. Pro-actively email or call at least one person you like or love every day to catch up with them. Take a picture of yourself smiling every day for 21 days. Ask yourself constantly “why is this happening for me?” rather than “why is this happening to me?” Enhance the positive traits rather than rue and mull on the negative thoughts. Make optimistic attributions to real life situations as a preference to pessimistic conclusions. Read http://goo.gl/1Gx5R to learn more about this. Starting today, find an empty jar and take the time every month to fill it with notes about good things that have happened to you. Then, on New Years Eve, empty it and see what awesome stuff happened during the year. It’s a very good way to keep things in perspective! Use this opportunity to express gratitude, appreciation and forgiveness. First do everything you can to feel good (e.g. laugh!) daily, then practice positive affirmations and associate the feelings you have to them. Don’t ask for something you do not already have, affirm your gratitude for the knowing that it is coming. This entry was posted in Blog, Inspiration Zone, Laughter Insight Newsletter, Laughter News, Merv's Blog, Sebastien Gendry's Laughter Yoga Blog on May 30, 2013 by Sebastien Gendry. In Mayan tradition, there is a greeting that many people working with Mayan wisdom know of. It is the law of In Lak’ech Ala K’in, which means I am another yourself (A modern day interpretation). It also means I am you, and you are me (A traditional Mayan interpretation). We have come to understand that this Mayan greeting is an honoring for each other. It is a statement of unity and oneness. In Lak’ech Ala K’in mirrors the same sentiment of other beautiful greetings such as Namaste for East India, Wiracocha for the Inca, and Mitakuye Oyasin for the Lakota. It doesn’t matter which culture you come from. But when one of these sacred greetings is given, there is always an action of placing the hands over the heart. The more I walk the Mayan path, the more I understand the depth that In Lak’ech Ala K’in teaches. This greeting has become more than a simple, honorable Maya greeting. It has evolved into a moral code, and a way to create a positive reality for all life. As we near 2012 with all its doom and gloom prophecies, we have a moral obligation to Spirit to live the code of In Lak’ech Ala K’in. We can give our hearts in a positive manner every day by saying In Lak’ech Ala K’in to each other, to the trees, to the sky, to the birds, and to the stars. You can greet each sunrise by saying In Lak’ech Ala K’in. Each and every day we have together is sacred, so acknowledge this day by giving it your heart. Remember when you give in this way, you are also giving to yourself! You are not giving your energy away to something separate from yourself. Y ou are giving to another part of yourself! I understand the challenges in staying positive in these days where the energy is so compressed that we can hardly breathe, but there is one simple exercise that can turn it all around for us. Each day, simply walk in gratefulness. We can say In Lak’ech Ala K’in to that which gives us life everyday, and that is the heart of the Great Spirit. Instead of solely taking from the Great Spirit by asking for insight and direction, give back your heart, love, and appreciation. You will be amazed at the results. If we open our hearts and send gratitude, it opens all doors that were previously closed to us. Remember you are a part of Great Spirit! When you give to Great Spirit you are giving to yourself. We can practice In Lak’ech Ala K’in tirelessly, because when and what we give to others is giving energy to ourselves. When we give, we receive. So how do we know if we giving right? 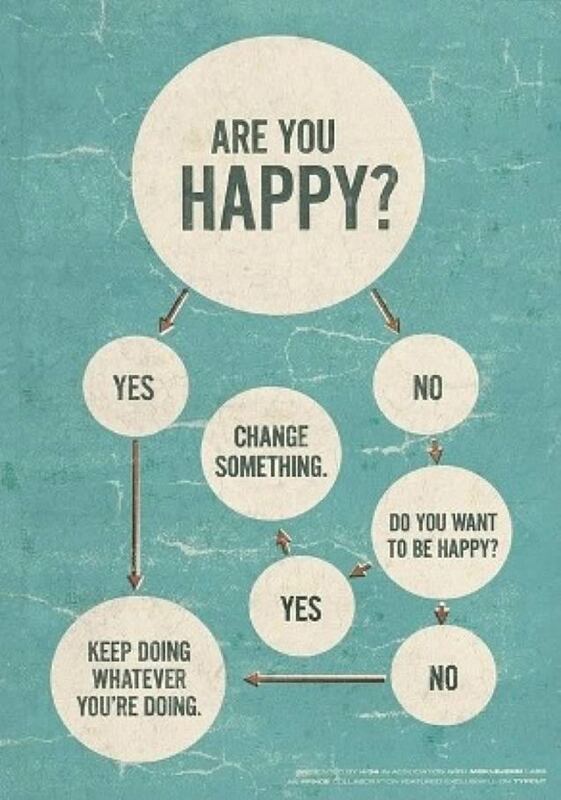 It is really simple. When we are energized by our giving, we know we are giving from our hearts and from the code of In Lak’ech Ala K’in. If we feel drained or exhausted, it is possible that we gave out of fear, lack, obligation, ego, or a need to be accepted or liked. The more one practices In Lak’ech Ala K’in, the clearer we will become about our motivations regarding our actions, and the more we will receive. Remember . . . what goes around comes around exactly the way it was sent out. If you don’t like what life is sending to you, look at what you are sending out to life. When we begin to live and practice In Lak’ech Ala K’in, a lot of our old ways of doing things will no longer work for us. For instance, we cannot act like victims anymore, and we cannot live out of fear either. We find ourselves no longer preparing for disaster; instead we anticipate a glorious future. It is time for us to rewrite the prophecies. They have become obsolete. The past will become just a bad dream, and the future will become a beautiful vision of which we will create right now. When we practice In Lak’ech Ala K’in, we quit being neutral in our world, because we understand that Spirit works with those that take action. We begin to take action by adding to the positive experience of this dimension. So what kind of world do you want? Don’t just stand there waiting for the world to appear in front of you. Spirit helps those who help themselves. It is up to us. When we practice the moral code of In Lak’ech Ala K’in, we are producing and sending positive and vital energy that can literally transform our troubled world into Paradise. When we live from In Lak’ech Ala K’in, we are putting to use our natural ability to create our reality. We are affecting the collective consciousness of humanity in a positive way. The Cosmic Maya, also known as the “Star Elders” or “Invisible Council”, understood this natural power to create their reality. Their sacred calendars mapped the natural laws of the universe. Now it is our turn to come to this understanding. It is time for us to walk as the Star Elders did so many years ago. The time has come for us to change the world. This entry was posted in Blog, Inspiration Zone, Laughter Insight Newsletter, Laughter News, Merv's Blog, Sebastien Gendry's Laughter Yoga Blog and tagged Ala K'in, In Lak'ech, In Lak'ech Ala K'in, mayan tradition, moral code on May 28, 2013 by Sebastien Gendry. It is believed that the Duchenne smile (named after the French researcher Guillaume Duchenne) is the only form of what one could call the “genuine” smile. It is achieved when your curl your upper lip inward and smile with your mouth as much as with your eyes. The “Pan American smile,” on the other hand is the smile expressed to show politeness, for example by a flight attendant on the former airline with the same name. It only involves the muscles of the mouth and not the eyes. 15 fascinating facts about our smiles and why becoming a smile millionaire will change your life. 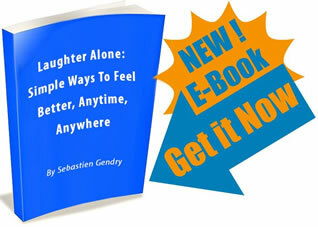 This entry was posted in Blog, Laughter Insight Newsletter, Laughter News, Merv's Blog, Sebastien Gendry's Laughter Yoga Blog and tagged duchenne smile, fake smile, smiling, true smile on May 27, 2013 by Sebastien Gendry. Why not organize a “One Minute To Win It” party? Why not organize a “One Minute To Win It” party? It involves deceptively difficult – but hilarious – games with household objects that you can do at home, at work and at parties. This entry was posted in Blog, Laughter Insight Newsletter, Laughter News, Merv's Blog, Play, Sebastien Gendry's Laughter Yoga Blog and tagged hilarious games, household objects on May 22, 2013 by Sebastien Gendry. Laughter is prompted both by contempt and joy. Always choose joy! We know that the wisdom of ancient India was shared through stories, and that therefore all the stories from the Indian mythology (and every single detail in them) are loaded with powerful lessons on how to live a meaningful, rewarding and balanced life. What then do you think is the meaning of the following story? A beautiful palace was built for the Pandavas called the Maya Sabha. While filled with luxuries, it was also filled with deception. Real doors could not be seen, and illusory doors were everywhere. There was only one lake, but the floors were such that they made you believe that there were plenty of lakes. Duryodhana (the cousin, yet enemy of the Pandavas) came to visit. He tried to enter a door, but hurt his head because it was not really a door but a wall. When he went further he saw a pool of water and tried to enter it, but it was not a pool but glass which looked like a pool so he hurt his foot with the glass. Seeing this, Draupadi, the Pandavas’ wife, started laughing loudly. This insulted Duryodhana so much that he vowed to take revenge on her (which he did, and she got into a lot of trouble). These 6 types of laughter are grouped into 3 pairs. This entry was posted in Sebastien Gendry's Laughter Yoga Blog and tagged types of laughter on May 15, 2013 by Sebastien Gendry.